10Bet Casino has been around since 2003. It has ever since established itself as a successful brand. They remain today as one of UK’s most stable and reliable names. 10Bet started off as a bookmaker and are still famously known as such. Yet, 10Bet boasts an online casino that’s up to bar with the greatest of industry standards. Top shelf games from quality providers, constant customer support, currencies and languages. These are just a few remarks of this online casino. We’ll give you the full rundown from head to heels, so you can decide for yourself if the casino useful for you. 10Bet Casino has a very lucrative welcome offer, exclusively available to Casino Deal users. It offers all new players a 100% first deposit bonus worth up to £200. More than just a generous casino bonus, the 10Bet welcome offer is a player-friendly deal, as it comes with very achievable requirements. Players must wager the bonus funds 35x before they can withdraw any winnings, and have 15 days to do so. In addition to the bonus funds, the player will also get 100 free spins on the Starburst slot game. The first 10 free spins will be automatically credited after the player’s first deposit. 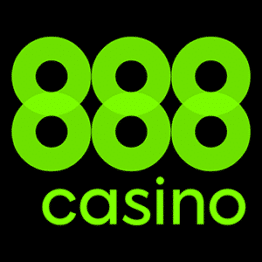 Then, over the next 9 days, the player can claim 10 free spins per day just by logging into 10Bet Casino. The free spins are worth £0.10 per spin but come without any wagering requirements. This is a really great offer, as it means that all winnings are automatically credited as real cash to the customer's casino account. How Can I claim the 10Bet Casino Welcome Offer? UK 10Bet Casino customers can look forward to a very solid selection of regular bonuses if they decide to continue playing at this casino. So, let’s take a look at the bonuses currently available as of writing this 10Bet Casino review. 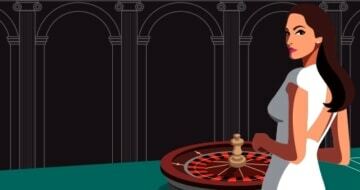 10Bet Casino currently has two free spins bonuses for its slot game players. The first free spins bonus offers players 25 free spins on Strolling Staxx and is available to players who have deposited and played through at least £100 on the same game. The second 10Bet Casino free spins bonus is worth 5 free spins and comes with very fair terms and conditions. The only requirement players need to meet in order to be eligible for this bonus is that they’ve deposited and played through a minimum of £10 on slots over the past 30 days. Every Wednesday, players can get a 10% cashback bonus up to £100 of their real money loses on mobile slots over the previous week. Only players who had a minimum net loss of £50 over the course of the previous week are eligible for this promotion. The cashback bonus comes with 35x wagering requirements. The maximum winnings from the bonus are set at 10x the bonus amount. Live casino enthusiasts can claim a 100% deposit match bonus up to £100. This bonus is available to every 10Bet Casino member who makes a minimum deposit of £15. One thing worth mentioning is that this bonus comes with 80x rollover requirements. This might seem like an insurmountable mission for many casino players. Those who decide to claim this bonus will have 15 days to meet the requirements. Although this 10Bet Casino review is primarily focused on the online gambling part of this website, it’s worth mentioning that 10Bet also offers a massive selection of bonuses to its sports betting customers. 10Bet punters can claim a separate betting welcome bonus, as well as betting accumulator bonuses and free bets on horse racing and rugby. 10Bet Casino offers close to 600 casino games to its customers. The majority of their games are video slots, with over 500 slot games available for players to choose from. There is also a specially dedicated Jackpot Slots section, which includes popular jackpot slot games like Mega Moolah, Divine Fortune and the Mona Lisa Jewels Progressive slot. The casino has a more than decent selection of table and card games, with over 50 games offered to 10Bet Casino members. What’s great about this part of their game library is that there are games suitable for every casino player, from low stake variations to medium and high-stake options. 10Bet Casino cooperates with over a dozen top casino software providers, including big names such as NetEnt, Microgaming, iSoftBet and Quickspin. This casino doesn’t publicly advertise a VIP program for their most loyal players. However, while creating their accounts, players can opt-in to receive bonus updates and personal promotions based on their game interests can habits. Those who decide to participate in this promotion can look forward to great and unique bonuses that will help increase their 10Bet Casino gaming experience even further. This is also quite possibly the place where players will also get some exclusive loyalty deals. The 10Bet live casino platform features 11 live casino games, so there aren’t that many options for players who like to play live casino games. The games on offer include a couple of roulette variations, baccarat, blackjack, dream catcher and football studio. All of the games are provided by the renowned live casino software provider Evolution Gaming. Even though the selection of live casino games at 10Bet Casino is relatively modest, the casino makes up for this by providing an HD quality streaming platform that allows players to enjoy an immersive and unparalleled live casino experience without leaving the comfort of their chairs. 10Bet Casino offers a fantastic and very flexible cashier section to its customers. Their payment section includes a wide range of options, from credit and debit cards (Visa and Mastercard) to e-wallets (PayPal, Skrill, Neteller), prepaid cards (Paysafecard) and fast online banking solutions. What's particularly convenient about their cashier is that players can transfer money between their 10Bet casino and sports accounts. 10Bet is a paypal online casino, making it a safe and reliable casino choice. The minimum deposit amount is set at £10 for all payment methods. While the minimum withdrawal amount depends on the payment method and can be between £5 and £25. 10Bet Casino doesn’t charge any fees or commission to UK players depositing and withdrawing in Pound Sterling. The casino implements the KYC policy, which means that all transactions are processed extremely quickly, but may vary in the event of extended verification requirements. 10Bet Casino is compatible with all devices and browsers out there. Mobile casino players can play all the newest and most popular casino games 10Bet offers to its customers. Besides its slightly smaller scale and more intuitive design, the mobile platform functions pretty much the same as the desktop version of 10Bet Casino. The casino also offers native mobile apps for Android and iOS users. Players can download their preferred app directly from the casino’s website. Users who decide to download the 10Bet Casino native apps can enjoy full access to all the casino and sports betting content this online casino offers. 10Bet Casino support services are available around the clock, every day of the week. UK players can call the free phone support line, send an email, or contact live chat support when logged into the casino. Response times are fairly good across all three support channels, with the email support being the least efficient option, as players who decide to contact casino support via email can expect an answer within 24 hours. The 10Bet FAQ section is packed with a lot of useful information. There are 10 separate FAQ sub-sections, which cover helpful answers on both the casino and sports betting aspects of 10Bet Casino. Despite primarily being a UK-oriented online casino, 10Bet also offers its customers the option to run the website in several different languages. 10Bet Casino is operated by Blue StarPlanet Limited and enjoys a great reputation in the gambling world since it has been online for over a decade and a half. Their gambling services are regulated and licensed by the UK Gambling Commission and the Malta Gaming Authority. 10Bet Casino also employs several security mechanisms to ensure absolute player security and privacy. Industry standard 128-bit SSL encryption is deployed to secure all financial transactions and payment methods are verified using a secure File Transfer Protocol. 10Bet Casino actively encourages its players to participate in the management of their accounts and offers them a variety of responsible gambling features to do so. From the moment they sign up with 10Bet Casino, players are offered an option to set daily, weekly and monthly financial limits. The casino also features and supports several recognised organisations, including GamCare, Gamblers Anonymous and GambleAware. While writing this 10Bet Casino Review, we were impressed by how well this online casino pulls off several important things. Their customer service is on par with the best in the business, and their overall platform is an excellent example of a well-rounded online gaming product. The casino offers regular bonuses for casino, live casino and sports betting customers and dedicated mobile apps that make playing with them a real pleasure. Players looking for a modern and exciting online casino should look no further than 10Bet Casino. From the moment they join this casino, players will enjoy a high level of service and quality entertainment product that will always keep them coming back for more. We highly recommend 10Bet Casino to any experienced or casual casino player. Sign up today and claim the exclusive 10Bet Casino Welcome Offer worth up to £200 and 100 free spins, exclusively available to Casino Deal readers. Is there a 10Bet Casino welcome bonus? 10Bet Casino offers an exclusive welcome bonus to Casino Deal users. It's worth up to £200 with 100 free spins on Starburst. This bonus is available to all players who register with 10Bet via Casino Deal only. The welcome offer comes with a set of terms and conditions so make sure to check them out before registering. Does 10Bet Casino accept PayPal? Yes, 10Bet Casino accepts PayPal. UK 10Bet Casino members can use PayPal to make quick and fast deposits & withdrawals. PayPal is a very popular option, mainly due to its convenience and flexibility, since the deposit limits are set between £10 and £50,000. This popular e-wallet is available to UK customers, though it might not be to players from other countries. Is there a 10Bet Casino mobile app? Yes, there is, 10Bet Casino has created mobile casino apps for both Android and iOS users. Players can download both of the apps straight from the casino’s website and enjoy a fully immersive and completely convenient mobile gaming experience. Those who don’t want to download the mobile apps can still access the browser-based version of the mobile casino and enjoy their platform without any restrictions.